Here at Mike Hale Acura near Salt Lake City, we have a vast inventory of Acura vehicles for sale – including the AcuraWatch-equipped Acura MDX and the high-tech, competitively performing Acura RDX– but we also have an expansive inventory of used vehicles for sale, many of which are non-Acura models. For those Provo drivers looking for a vehicle that’s inexpensive, that’s been driven for only a few miles, and one that will surely hit the roads of Draper with ease, you’ve made a good choice in choosing a vehicle between this price point. Check out our inventory below before you contact us today. COMING SOON***ONLY 59,000 MILES***Clean CARFAX. Silver 2005 Audi A8 4.2 quattro quattro 6-Speed Automatic with Tiptronic 4.2L V8 DOHC Leather, Cold Weather Package, Cold Weather Package w/3 Spoke Wood Steering Wheel, Heated Front & Rear Seats, Heated Steering Wheel, Ski Sack. Recent Arrival! THOUSANDS OF DOLLARS OF PERFORMANCE UPGRADES BUT NEEDS ENGINE WORK AS-IS CASH AND CARRY***CARFAX One-Owner. Redfire Clearcoat 2003 Ford Mustang Cobra RWD 6-Speed Manual with Overdrive 4.6L V8 DOHC 32V Supercharged 4.6L V8 DOHC 32V Supercharged, 3.55 Ratio Traction-Loc Axle, Anti-Lock Braking System, Convertible Top Soft Boot, Dual Illuminated Visor Mirrors, Mach 460 AM/FM Stereo w/6-Disc CD, Manual Air Conditioning, Order Code 350A, Power Decklid Release, Power Door Locks, Power Side Windows, Rear Spoiler, Rear Window Defroster, Remote Keyless/Illuminated Entry, Speed Control, Traction Control. Recent Arrival! 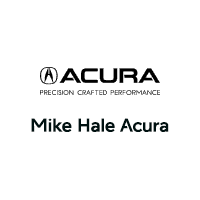 Why Buy from Mike Hale Acura? Not only has Mike Hale Acura won TIME Magazine’s Dealer of the Year award, but we’ve also won the Acura Environmental Leadership Award. We have a consistently rotating inventory of new and used vehicles. So once you’ve decided on a vehicle between 10k and 20k from our inventory at Mike Hale Acura near Draper, contact us today. You’ll be out the door and in an affordable car in a snap.